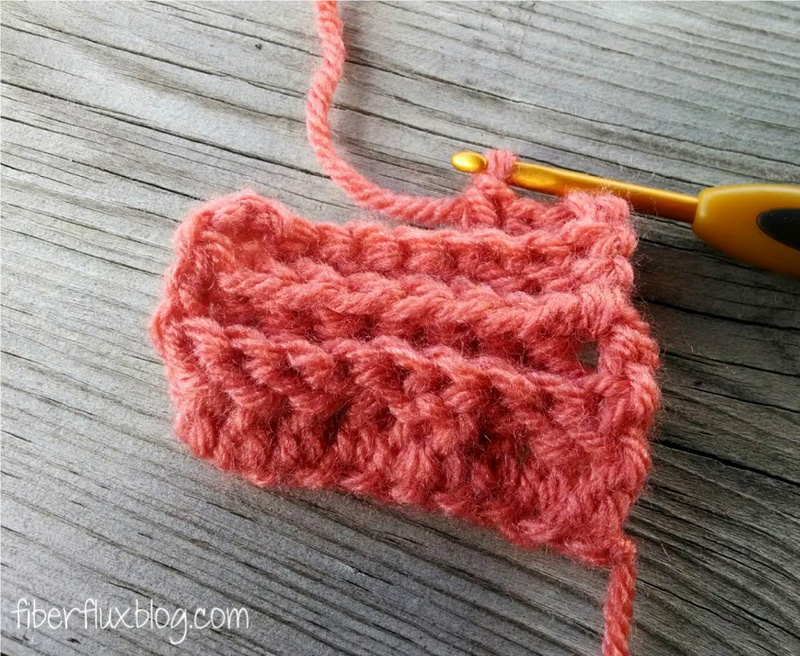 The back post double crochet stitch, or "bpdc" as it is abbreviated in patterns is an easy stitch to learn. 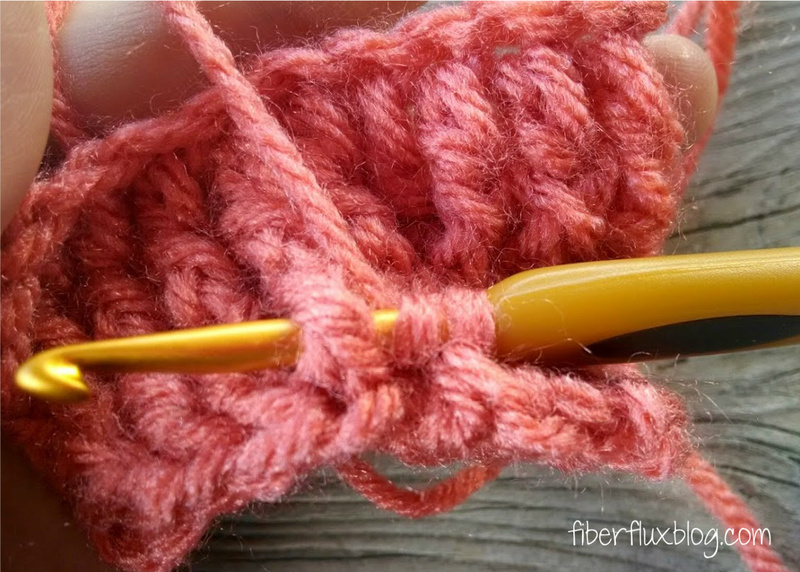 It is often used with the front post double crochet (fpdc) to create ribbing in crochet, or by itself to make pretty ridges in your work. 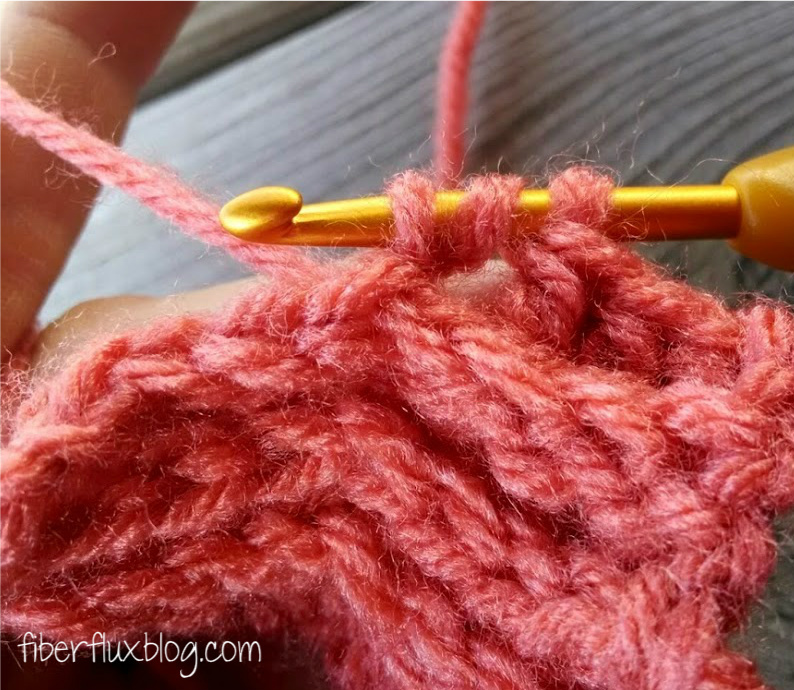 It almost just like a regular double crochet, except where you place the hook in the beginning. 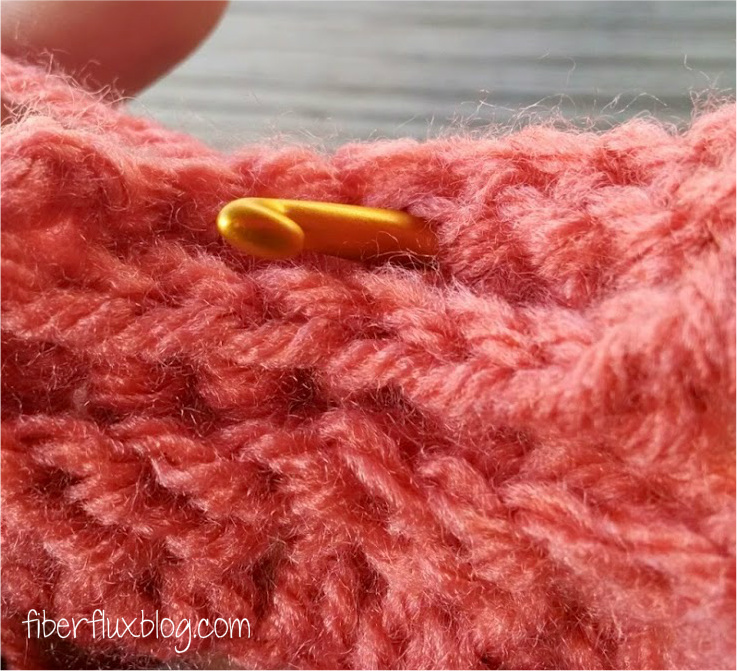 Be sure to scroll down to watch a short video on how to make the stitch too. 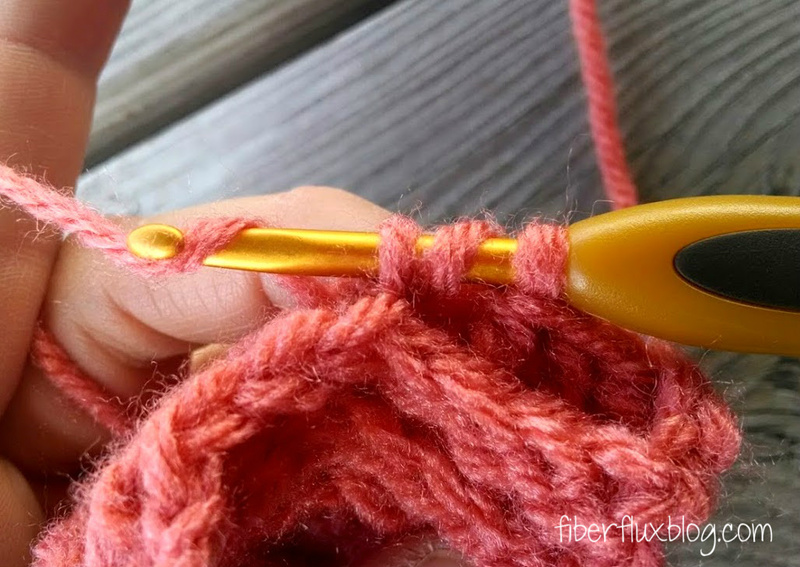 Wrap yarn around hook and draw through the post. 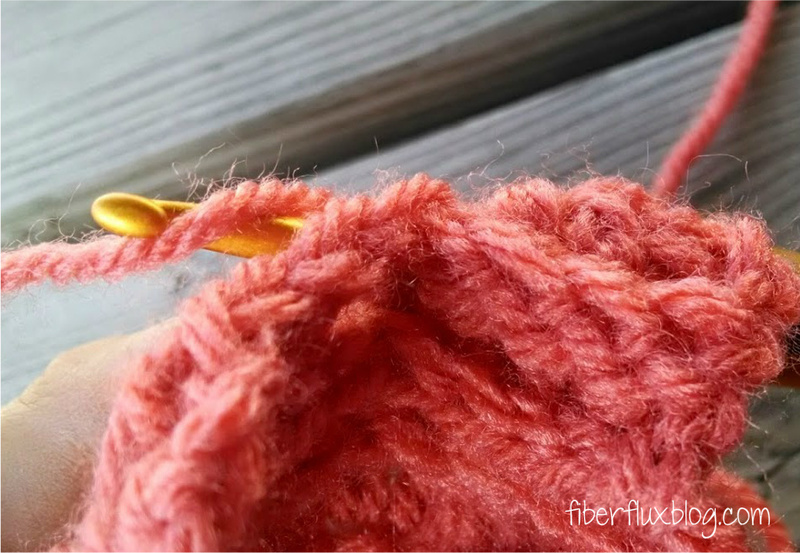 It should now look like this...three loops on the hook. 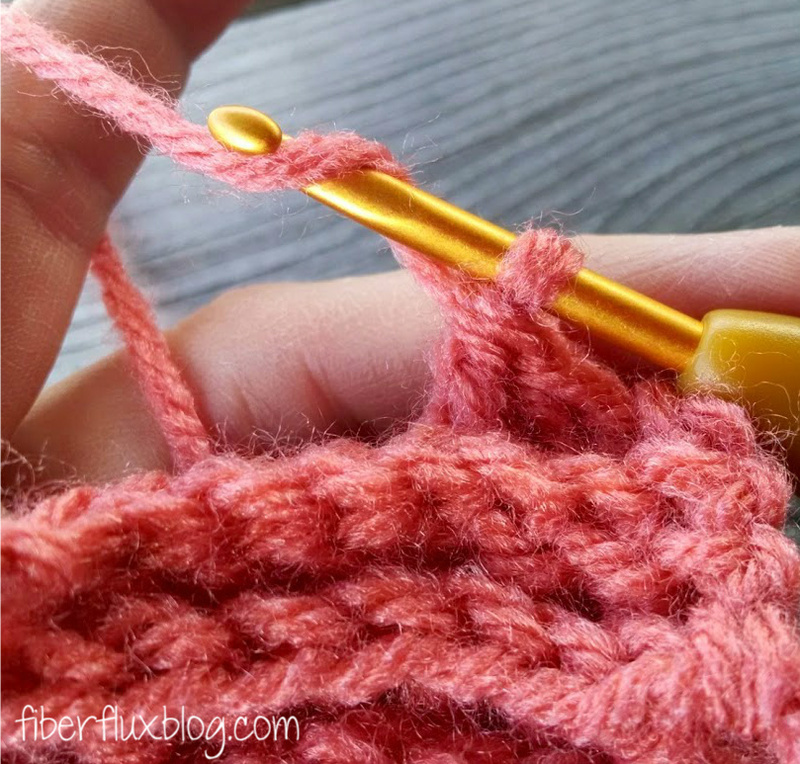 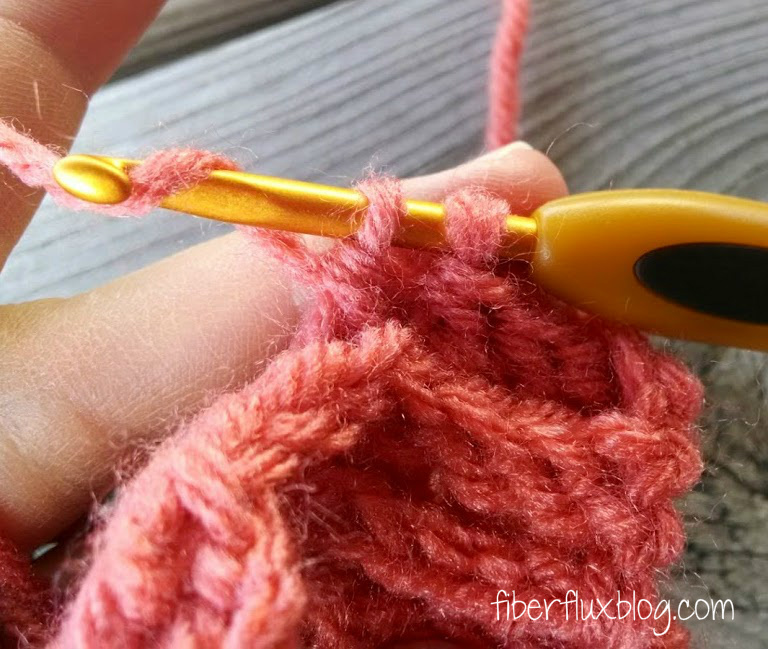 From this point forward, you'll work the stitch as your normally would a regular double crochet stitch. 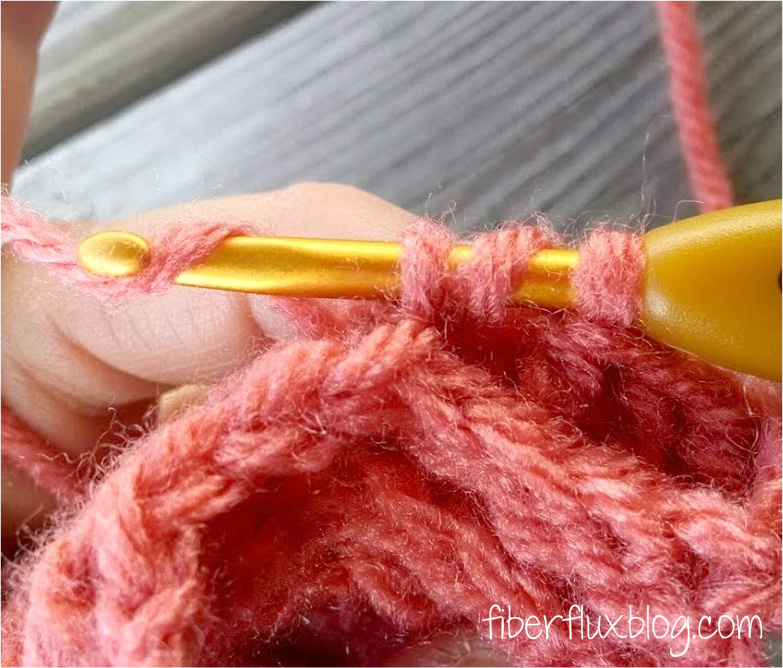 one loop left, now you're ready to work another! 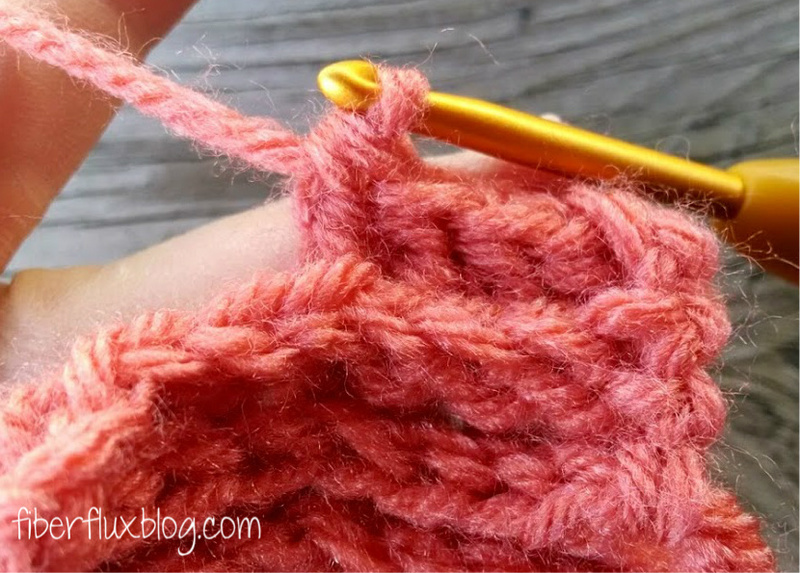 Here's what my little swatch looks like to give you an idea of what a few rows will look like. 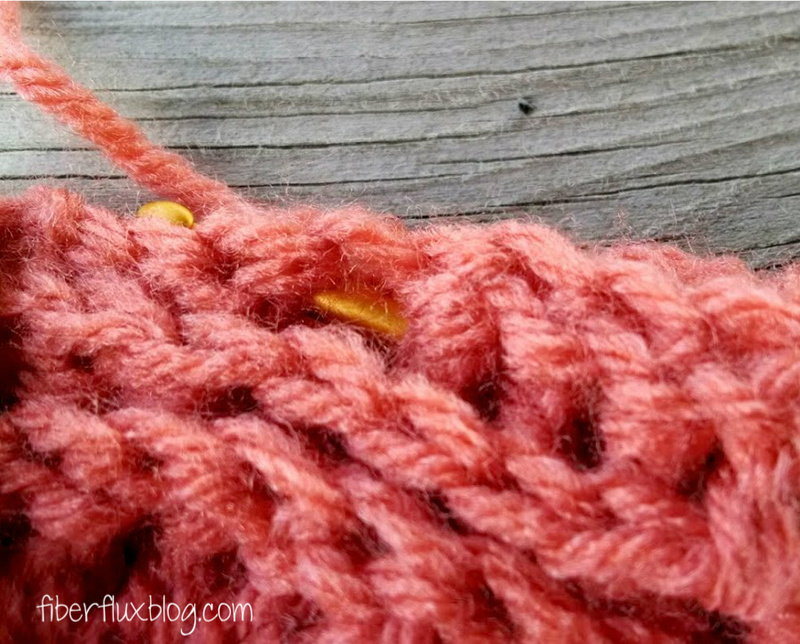 To see this stitch in action, be sure to scroll down a bit for the video...happy stitching!